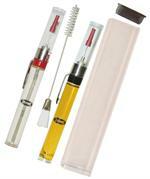 Diamond Mini Needle Files with Gold Extra Fine Diamond Grit Stored in Plastic Tube. 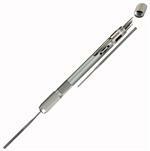 Handle with Mini 4" Diamond Coated Needle Files that store inside handle. 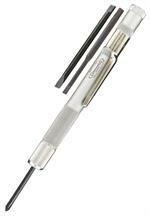 Handle with Mini Shortened Diamond Coated Needle Files that store inside handle. 4" Long needle files sets with Handle, files store inside plastic tube. File handles with 6 or 12 steel files stored inside handle.